Well Water Sample Collection Volunteers Wanted! Is Well Water Your Primary Drinking Water Source? Do You Reside in Northwestern Wisconsin? Are You Interested to Know what’s in Your Drinking Water? The UW-Extension Ashland County office (201 W Main St, Courthouse Room 107, Ashland, WI) was a pick-up point for these free well water test kits (researching fluoride) fall and winter 2018. This project aims to generate much-needed data on naturally-occurring fluoride and selected metals in groundwater collected from within 11 northwest Wisconsin counties. 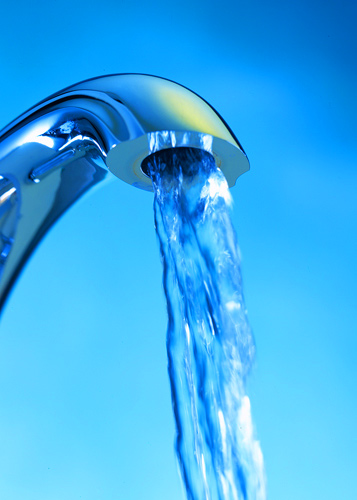 A second objective of this research is to foster public awareness among northwestern Wisconsin residents about the need for regular private well water testing. Citizen scientists and northwestern Wisconsin residents using private well water samples. In return, volunteers will receive free well water testing for fluoride, and for some randomly-selected kits, the metals arsenic, iron, manganese, aluminum, and lead. To be eligible for a free well water testing kit you must use well water as your primary drinking water source and reside in one of the following counties: Douglas, Bayfield, Ashland, Iron, Burnett, Washburn, Sawyer, Price, Rusk, Barron, or Polk. 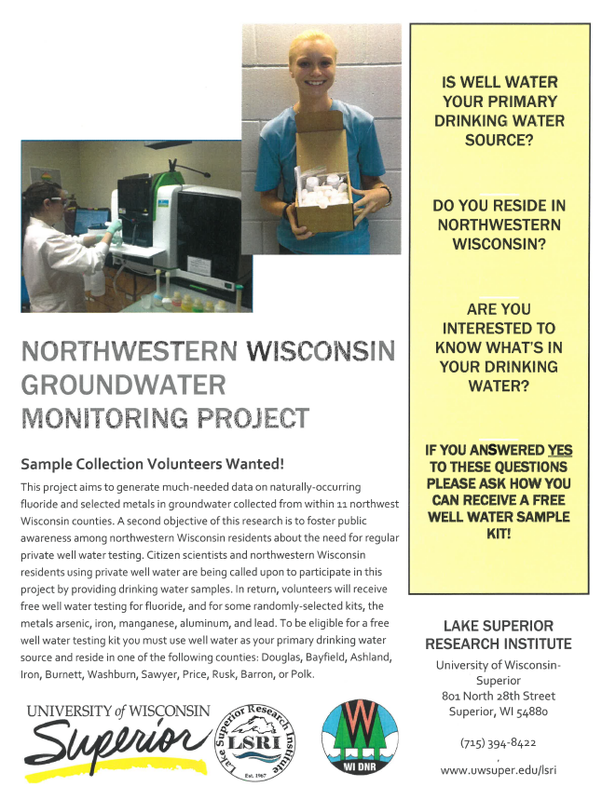 Sample kit, shipping, analysis and report paid for through grant funds provided by the Wisconsin Department of Natural Resources.